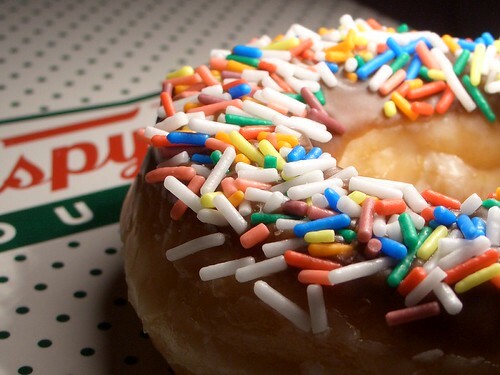 June 5 is National Doughnut Day and today its your chance to eat free doughnuts at Dunkin Donuts and Krispy Kreme in USA. On June 5, 2009, Participating Dunkin’ Donuts restaurants throughout the country promise to give every customer a free donut of their choice, with the purchase of any beverage, limit one per customer. However, participating Krispy Kreme stores will give away a free doughnut to all its customers, no purchase necessary, with a limit of one doughnut per customer. National Doughnut Day is celebrated on the first Friday of June each year. It started in 1938 as a fund raiser for the Chicago Salvation Army to help the needy during the Great Depression, and to honor the Salvation Army “Lassies” of World War I, who served doughnuts to soldiers behind the front lines in France. Grab your chance to get a free doughnut today. Where are you going?